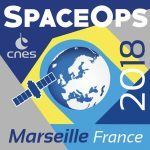 Hosted and organized by CNES (Centre National d’Etudes Spatiales) and powered by the AIAA (American Institute of Aeronautics and Astronautics), SpaceOps 2018 is a technical forum of the Space Mission Operations and Ground Systems community that addresses state-of-the-art operations principles, methods, and tools. SpaceOps 2018 (Theme: “… Inspiring Humankind’s Future”) provides the opportunity for you to share mission’s experience, challenges, and innovation solutions. Visit the SpaceOps 2018 website at http://www.spaceops2018.org/. Hosted by KARI (Korea Aerospace Research Institute) and sponsored by the AIAA (American Institute of Aeronautics and Astronautics), SpaceOps 2016 is a technical forum of the space operations community that addresses state-of-the-art operations principles, methods, and tools. SpaceOps 2016 (Theme: “Expanding the Space Community”) provides the opportunity for you to share experience, challenges, and innovation solutions with colleagues from around the globe. Inspiring the participation from developing countries, especially for Asian, African and any other nations that are emerging players in space development. This will also facilitate discussions and global partnership opportunities between new and mature space organizations. Visit the SpaceOps 2016 website at http://www.spaceops2016.org/Overview.php. Hosted by NASA Jet Propulsion Laboratory and organized by the American Institute of Aeronautics and Astronautics (AIAA), SpaceOps 2014 brought together the space operations community to address state-of-the-art operations principles, methods, and tools. Held biennially since 1990, the conference attracts technologists, scientists, and managers from space agencies, industry, and academia, and fosters managerial and technical interchange on all aspects of space mission operations, including robotic and human spaceflight, earth orbit and deep space missions, lunar and planetary missions, and orbital and surface operations. Visit the SpaceOps 2014 website at www.spaceops2014.org. SpaceOps 2012 was hosted and organized by the Swedish space technology and service provider SSC and the German Aerospace Center, DLR. The event was sponsored by BlackBridge, CNES, KARI, and LSE Space. SpaceOps 2010 was organized by NASA Marshall Space Flight Center in association with AIAA. The event was sponsored by Lockheed Martin Corporation, United Space Alliance, Boeing, University of Alabama in Huntsville, Jacobs Technology, COLSA Corporation, VEGA, Teledyne Brown Engineering, Inc., IBM, ASTRA TechCom Services, General Dynamics C4 Systems, and CSC, with support from LG and Southern Digital Products, Inc.
SpaceOps 2008 was organized by ESA and EUMETSAT in association with AIAA. The event was sponsored by ASTRA, INSA, L3 Communications, SED, Space News, secrco, Telespazio, Terma, United Space Alliance, VEGA, and Vertex Antennentechnick GmbH. SpaceOps 2006 was hosted by ASI and organized by the American Institute of Aeronautics and Astronautics (AIAA). The event was sponsored by Finmeccanica, GlobalSpec, HISPASAT, SES ASTRA, Filas, Regione Lazio, Parmigiano Reggiano, and Cantine due Palme. Supporters of the event included the AIAA Space Operations and Support Technical Committee, SESS, Universal Space Network, Swedish Space Corporation, VEGA, Comune di Roma, and Provincia di Roma.